Wessex Warriors Powerchair Football Club is committed to protecting all young people and vulnerable adults that are in our care or attending our activities. 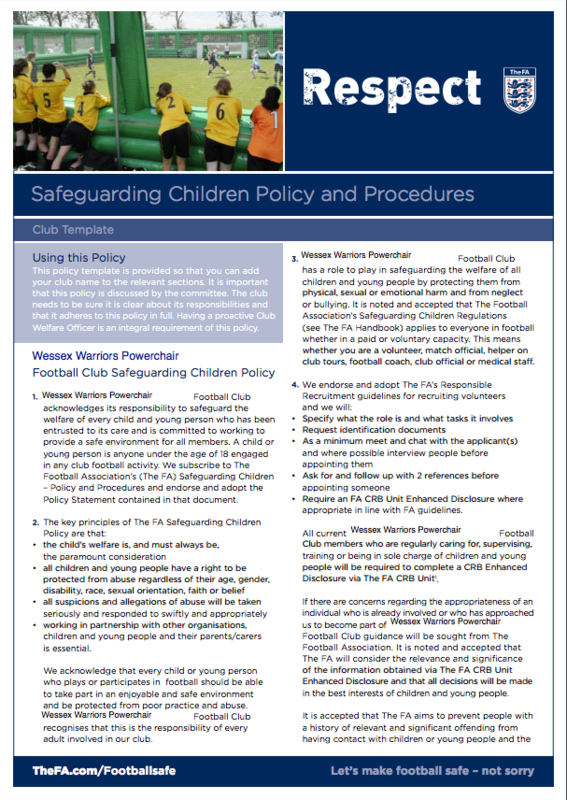 The football club has a full range of safeguarding policies and best practice guidelines for all volunteers. Complaint procedures that deal with complaints regarding staff and any safeguarding issues have also been established. Whether it is at training, competitive matches or social events, we will strive to keep children and vulnerable adults safe and free from harm. All of the football club’s activities and policies comply with national legislation and are in accordance with rules outlined by the Football Association. Wessex Warriors is a also an ‘FA Charter Standard Club’. 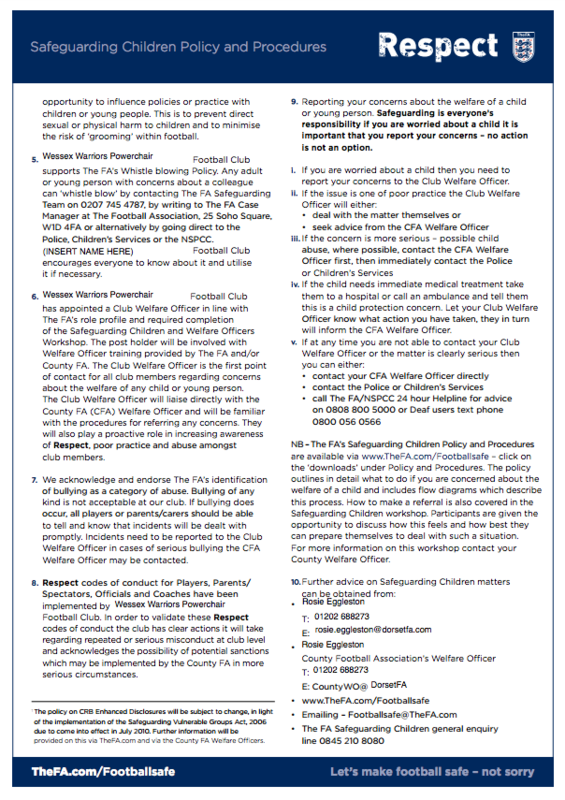 The club has two trained safeguarding officers, and either can be approached with concerns or questions.